Fluence was able to install an anaerobic digestion plant at the Amadori SpA chicken slaughterhouse and processing plant in Teramo, Italy, without interrupting production. When one of Italy’s top agro-food processors wanted to expand its operations, it faced some difficult challenges, including reducing operational costs and producing an effluent that would meet strict European Union guidelines for discharge into the environment. This case study shows how a custom-designed solution from Fluence met the company’s requirements, all without interrupting production. Since its founding in the 1930s, Amadori SpA has grown from a small poultry firm to one of the leading companies in the Italian agro-food sector for meat-based dishes and other Italian foods. When it decided to boost the output of its state-of-the-art plant in Teramo, it put an emphasis on increased efficiency and sustainable development. 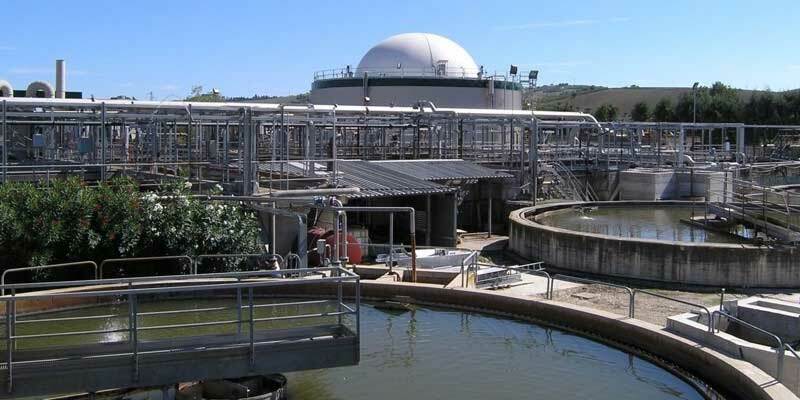 Amadori already had a wastewater treatment plant (WWTP), but needed to increase production while reducing disposal costs. The challenge was to revamp the existing aerobic WWTP, and build and activate the anaerobic digester during the normal six-day-a week operation schedule of the existing plant and slaughterhouse. Limited space was also a big challenge. 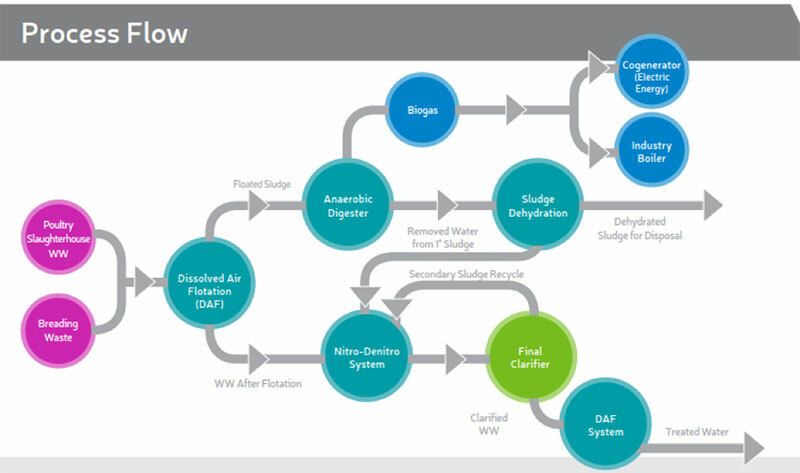 To address these needs effectively, the existing WWTP was restructured with the addition of anaerobic digestion and a nitrification-denitrification system designed, built, and commissioned by Fluence. Anaerobic digestion of sludge creates enough biogas to generate more energy than the plant needs for operation. With waste-to-energy technology, this plant is able to treat high-COD wastewater, sharply reduce sludge levels, and produce more energy than needed for production. The plant’s output meets strict EU guidelines for discharge into a nearby river. Contact our experts to learn more about Fuence’s sustainable wastewater and waste-to-energy solutions for the food and beverage industry.